Elizabeth Dehn (Bets) publishes a Beauty Bets website to share product reviews and trusted beauty advice with discerning readers everywhere. 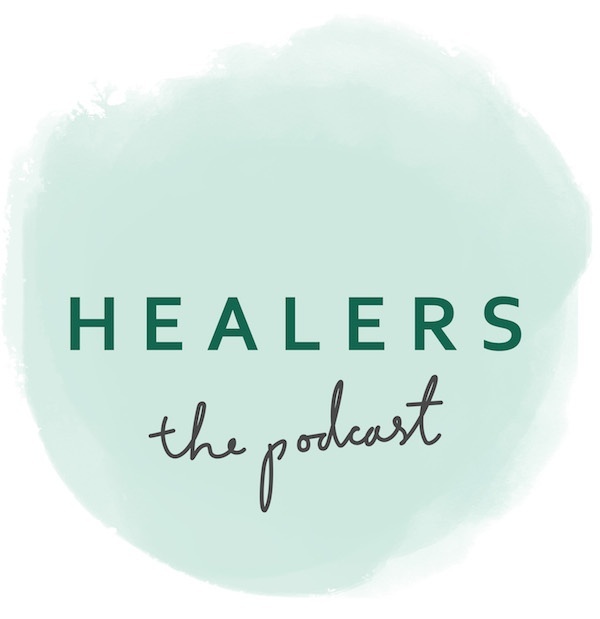 She also hosts a HEALERS podcast as part of her commitment to help others achieve self-love and acceptance. In this episode, she talks to animal intuitive and energy healer Bonnie Illies. She believes animals deserve to be heard and understood. “Animals are often misread or misdiagnosed,” Bonnie says. “It’s painful for me to hear of the many conditions animals are experiencing, not only in regards to their ailment but also the treatment. If these treatments were a necessity or there was no alternative, I could accept it. “But I now know differently – there is an alternative. Since I know there is another way, I do not have the right to be reticent at the expense of animals. They are suffering needlessly. I have seen and heard from hundreds and hundreds of clients how my work has helped their pets. In fact, 99 out of 100 clients have said that their animal friend improved or fully recovered when other treatments were stressful or painful, not effective, or had terrible side effects,” she says. combination of Healing Touch and QiGong. Prior to the kidney disease, Kleopatra had also been diagnosed with asthma and had been on prednisone for years. The healing treatments Bonnie did also helped Kleopatra recover from that, and she was taken off the prednisone. This occurred in February, 2004 when the cat was 15 years old. Kleopatra recovered and lived until 2008, dying at age 20. Naturally, she is thrilled, but she said that it’s equally as wonderful to see this cat, that has always been anxious, be happier and playful. She said that even her husband has noticed how much happier and more affectionate Bebop has become. Bonnie was contacted about Zina who, 18 months ago, was diagnosed with a respiratory infection. Different drugs had been prescribed for her during this time but nothing worked. Other issues were also showing up – dry stools, frothy white vomit, and desire to eat tissues and plastic. Also, Zina had always walked stiffly due to a structural issue. Bonnie recommended all drugs be stopped, to start using proteins that are less mucous producing, and to begin energy healing treatments. After a year and a half of Zina wheezing, the energy treatments cleared her lungs; however, the infection moved to her head. “you’re our last resort.” Usually, she is able to help and give the pet added quality of life. For more information: Call 952-292-7478 or email bonnie@bonnieillies.com or check out her website at www.bonnieillies.com. Bonnie Illies is an animal intuitive and healer who has been in the pet care industry for 15 years. We recently spoke with Bonnie about her practice. Q: How would you describe the type of work you do? It’s a little bit like acupuncture without the needles. It’s healing with energy. I look at healing work sort of like putting your battery back in the charger. It’s the best form of healing. You just need to get charged back up.Q: Why do people seek out your services? Most people don’t call unless they have tried everything else. Their pet is at death’s door and this is a last resort. Q: Can you describe your process? I do an initial consultation and if it’s on the phone, I just simply get the name, age and species of the animal. Then I start to get feelings and impressions. I look for the root of a problem, whereas most traditional medical physicians see the symptoms. You have a greater chance to heal instead of just patching up the symptoms. Q: How does diet fit into your healing practice? I usually recommend protein, veggies and grains to clean up the diet in alignment with Chinese Medicine principals. Q: How has the pet care industry changed since you began practicing? There’s been some sort of attitude switch—there is more openness about what I do but there are always people who do not understand what I do. Q: What advice would you give an animal owner interested in trying a healing approach like yours? I would say, make sure you find out the credentials of the professional. I recently had the unique opportunity to visit with animal communicator Bonnie Illies. She specializes in intuitive readings and healings for animals. In the realm of alternative therapies this is truly one of the most interesting approaches to animal wellness that I have come across. Bonnie is fully aware of the controversies surrounding her chosen profession, and she admits that there are healers that give her profession a bad name. If you are looking for Bonnie to tell you that your animal was King Tut in a past life and that is why your animal keeps pooping in the kitchen, you have found the wrong person to work with. She does not communicate with deceased animals nor does she try to find missing animals. Her area of concentration is in working with behavior and chronic physical conditions. In talking with her, I found her to be very practical in her approach to the wide range of health issues that she encounters. There may be times when you or your vet know that something is wrong with your animal companion yet not be able to detect what it is or whether it is emotional or physical in nature. This is where Bonnie may be a real asset in helping to improve the condition. In fact a good deal of Bonnie’s work comes from holistic veterinarian referrals. She has worked with a wide range of health problems such as hepatitis, kidney disease, arthritis, urinary infections, allergies, incontinence, as well as a full range of behavior problems. I found it very interesting that Bonnie only requests to know the animals name, age, and species. She does not want to know any symptom or diagnosis history. The less history she has the better. Her goal is to get a sense of what the animal is feeling, the less information she has the more clear her perceptions will be regarding the animal. She also prefers to work by telephone only. Bonnie maintains that she wants to get the animals side of the story first. Once she gets a feel for what is happening she can then do the energy work to assist in healing. A typical session is one hour long; it involves a 45-minute session working with the animal and then a 15-minute session with the owner giving an assessment of what she is seeing. Bonnie stresses the importance of proper natural nutrition as well as appropriate natural therapies the help in the treatment of her clients. She generally begins to see results with her clients after one session and on average it takes three sessions to get long-range results. She stresses that patience is very important in dealing with chronic problems. Rarely are there overnight cures with deep-seeded health issues. I came away from my talk with Bonnie with a good deal of skepticism removed. She is a straight shooter and is extremely passionate in regards to the wellness of our animal companions. There are no crystal balls or floating tables at her home. She is in fact quite grounded in a very non-traditional career. Bonnie Illies works on all kinds of animals that are experiencing health or behavioral issues. Her healing methods focus on the energy flowing throughout an animal’s different organ systems. Illies has remarkable intuition, and her connection to animals is nothing short of amazing. About four years ago our dog, Keta, was very sick–not eating or willing to move. We asked our vet if she knew of anyone who was an animal healer. She gave us the number for Bonnie. While waiting for the results of tests done by our vet, we contacted Bonnie. She does her work over the phone, working with clients all over the world. All she wanted to know from us when the session started was our dog’s name and age. From those two pieces of information, she was able to detect that the liver looked gray, pitted and struggling to function properly. She addressed what was going on emotionally with our animal as well. She also advised us about diet; i.e., which proteins and vegetables would be most compatible for the liver. We decided to also have her do healings for our dog. After one healing the only noticeable difference was that Keta wagged her tail, which we had not, seen her do for over a week. After the second healing, Keta went for a short walk. In the meantime, our vet called with a diagnosis of hepatitis and a picture that showed the liver just as the Bonnie had described it. The vet explained that we needed to get Keta on a certain drug. We explained that Keta was improving with the healings. The vet called several times, urging us to start the drug therapy. We believed, as Bonnie had explained, that to do the drugs would tax the liver–the very organ we were trying to heal. Doing the healings and then taking drugs that would have to be filtered through the liver could be like three steps forward and six back. When the vet continued to call regarding medication, Bonnie advised we go in for a blood test. The test revealed that the liver was healing. The vet couldn’t believe it saying, “This is unheard of”. Yet the tests proved it as was Keta who was once again eating and gaining more energy. Other animals we knew of who have had hepatitis all died within a year of being diagnosed and taking medication. Keta continues to thrive four years after working with Bonnie and no drugs. Bonnie also addresses the emotional component to illnesses–often there is an emotional aspect behind an illness. Often it’s an emotional issue that the animal’s caretaker needs to address. Our animals often mirror our emotional baggage. Bonnie helped us see what that was for us, which in turn helped us grow as human beings and helped Keta. Working with Bonnie saved our Keta!